In Boston we grew up on the ice, as soon as the weather hits 32 we are lacing them up. Show your pride in Boston hockey with this great design to show that you were "Born Into It" and it's in your blood! 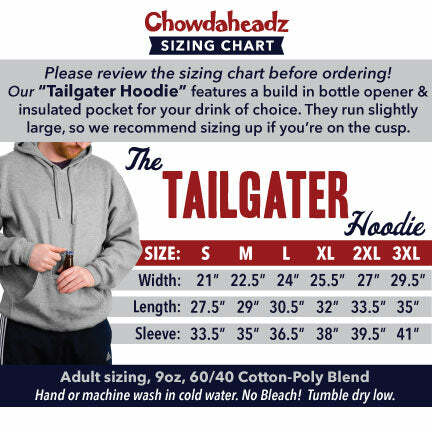 And elevate your game with our Tailgater Hoodie. This wicked soft hoodie features a built-in koozie drink holder, as well as it's very own attached bottle opener. With this sweatshirt, you're never without a spot for a cold beverage and can easily keep both hands free without putting your drink down. The koozie pocket closes with velcro making it another great option for safe storage of your phone or mobile device.